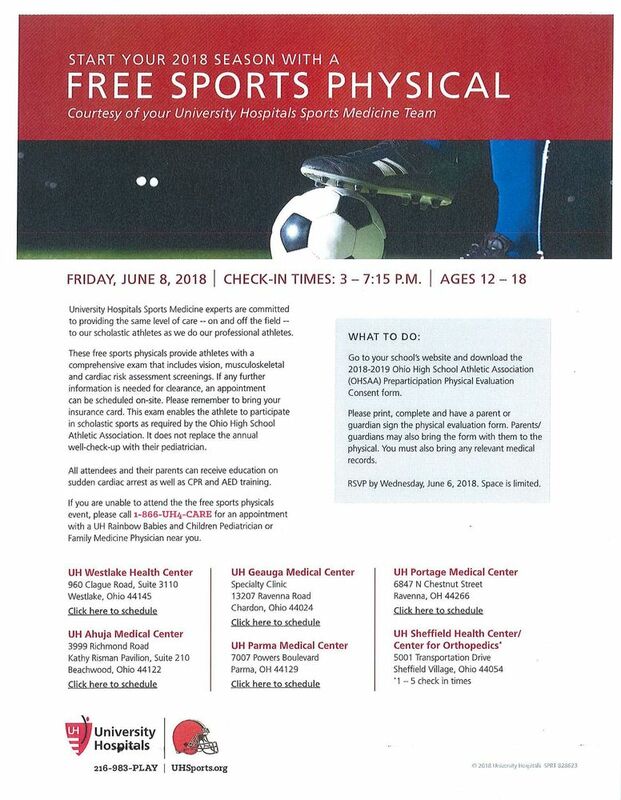 Please find attached the information regarding a free sports physical courtesy of your University Hospitals Sport Medicine Team on Friday, June 8, 2018 from 3:00-7:15 p.m. for ages 12-18. Please read "What to do" in the gray box and register by Wednesday, June 6, 2018, since space is limited. Thank you.